Young people, because they are young, have no room for niceties, or even for nice-ness. When they speak, they speak from the heart, in a direct and blunt manner, not caring whose ox is gored. They do not know or care whether their words can or will wound someone or cause ripples in high or low places. That is the privilege or the prerogative of being young. When they speak in this fashion they are not called to account because they are young. The expectation is that when they grow older they will learn to speak guardedly, pleasantly, because at that time they will be in a position to appreciate the consequences of their statements as adults. 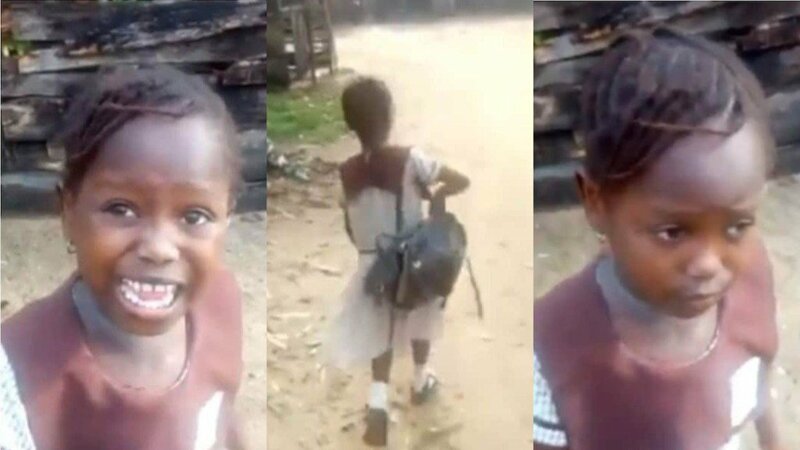 Recently, a seven-year-old girl, called Success Adegor from Sapele caused a stir in the social media and in the country with her outspokenness. This primary three pupil of Okotie Eboh Primary School 1 in Sapele, Delta State, was sent out of school for non-payment of exam fees. Being the kind of pupil that loves being in school she was very unhappy and angry. She furiously told a girl in her neighbourhood, Miss Stephanie Idolor, who recorded her that she would have preferred to be flogged by the teacher to being sent out of school. This video recording went viral and that little frank talk by this little girl developed a life of its own. The issue has become bigger than the little girl but it has brought unexpected benefits to her and her poor parents. Her father, Mr. Godwin Adegor, is a commercial motorcyclist while her mother is a small-time seller of recharge cards and eggs. Between them they have two other older children who are in Junior Secondary School. All of them live in a single room apartment which is also known as face-me-i-face-you. Since the Success story got viral the public have reacted overwhelmingly to the plight of the young girl. In a country where there are millions of young people unwilling to go to school but who prefer to sell pure water or bananas or groundnuts or simply to beg for alms, the Success Adegor story was bound to elicit public sympathy. She is not only willing and eager to go to school but she would not mind being flogged if her parents cannot meet their financial obligation for her education. Many pupils dread being given corporal punishment but Success was ready to accept being flogged if the teacher would keep her in school. She did not blame her parents for their impecuniosity which led to their inability to keep her in school. She understood their situation and would have preferred to be flogged than to be sent home while other pupils are in school. Her thirst for education at her young age is very admirable especially when you know that her parents are not highly educated themselves. Her outspokenness has paid off. A popular Social Media Celebrity, Mr. Jollof, has registered her at a private school, Majesty Academy, Sapele and paid the fees for two terms, promising to fund her education up to university level. Another person, the Chairman of Sapele Local Government Area, Chief Eugene Inoaghan, has also offered her scholarship. The Private Secretary to Governor Ifeanyi Okowa, Mr. Hilary Ibegbule has also met the family on behalf of the Delta State Government. 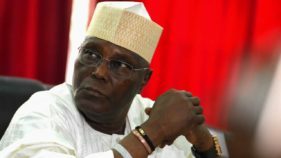 Several other persons, according to a report in the Saturday Punch of March 23, 2019, are also weighing in with cash gifts. Mr. Adegor overwhelmed by the unsolicited generosity of Nigerians asked the Punch reporter rhetorically “Are Nigerians this kind? We are short of words for what has come our way. Everything is happening as if I am dreaming. I didn’t believe we have so many kind people around us. I thank God because He did this for us. We are really happy for everything. The truth is that on that day I did not have any money to pay the levy. It was actually exam levy not school fees. All public schools are collecting exam fees. My other two children paid before they left primary school for secondary school. I was not informed about the levy early enough. I had already told her teacher that Success was too small to be sent home from school. I appealed to them to always inform us about things going on rather than to send her away from school. I had also told them that I would pay even before the incident,” said Mr. Adegor. Success is a good luck child. She was not supposed to be born. Her mother said she was fine with the two children she already had. She never wanted to have more children but as luck or ill-luck would have it she got pregnant again. 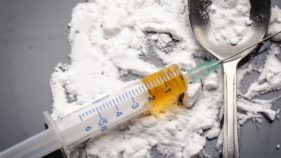 She wanted to abort it and even wanted to end her own life by taking something called Angle 90, some poisonous substance. But Angle 90 did not kill her. 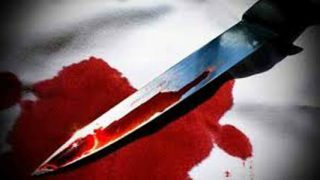 Mr. Adegor said he told her that rather than kill herself she should have the baby so that she can sell it for N500, 000. And she said “tufiakwa” she would not sell her baby. And that is how the foetus was allowed to grow into a child that came to be called Success. The father revealed that on the day Success was born a man that was owing him N100, 000 just brought the money. He received several other favours at her birth which is why he decided to call her Success. The young girl who is receiving the full dose of Nigeria’s generous attention now says her ambition is to become a lawyer and a pastor. “I want to be a pastor so that I can preach the gospel and I also want to be a lawyer because I love everything about them. I love their dressing and I hope to become a judge someday,” said Success. With the scholarships lined up for her, her unstinted love for education, her gutsy approach to problem solving and her willingness to subject herself to physical punishment if need be to achieve her goal, she is likely to succeed in life, all things being equal. Success’ outspokenness has done a favour not only to her parents but also to the Delta State Government. The State Government says that primary and secondary education in the state is free. It has therefore suspended the Headmistress of Success’ school, Mrs Vero Igbigwe while investigation of the matter is carried out. From what the government says the so called exam fee is an illegal levy, illegally imposed by the school authorities. The State Commissioner of Education, Mr. Chiedu Ebie, says that the suspended teacher acted outside of the law. If that is the case, then there is greed on parade. It would be interesting to find out what materials the school authorities give to the kids for use in examinations to warrant a levy. Even if there was an officially approved levy for examinations one would have thought that a caring teacher would allow the pupils to take the exams but withhold the result until the levy is paid. I guess the explanation here is that if something is wrong, something else has to go wrong so that the original wrong should be brought to the fore. If Success was not sent out of school, an event that elicited her angry outburst, the illegal collection would probably have gone on for ever undetected. In that case, Success’ outspokenness has brought a favour to the state government. That frank and angry talk is also her saving grace. From now onwards she will miss no classes on account of nonpayment of fees or levies. Her education has now received a shot in the arm. Without planning for it, Success has brought untold relief to her parents. Not only is her school financial burden lifted off their shoulders it does appear that some good Samaritans have also extended the hand of fellowship to them in other ways that will make their lives a little better than hitherto. Besides, they will from now onwards escape the taunts of unfriendly neighbours arising from their inability to keep their child in school. The shame that comes with that has been erased. Let it be said here that cheating seems to be a national pastime in many schools where free education is offered. Teachers create ingenious ways of squeezing money out of unsuspecting parents. Mr. Adegor says that his two other children who are now in secondary school paid exam levies when they were in primary schools. That means that the cheating has been going on for some time now. This also means that parents and the school supervising authorities are absent minded or if they are aware they simply don’t bother. Parents may think that such fees are either approved by the government or that they are meagre enough to be ignored. The truth is that at the end of the day these levies add up to a lot of money. You wonder what teachers who are supposed to impart virtues of integrity and honesty to the young ones under their charge are teaching them if cheating is their modus operandi. We hope that the Delta State Government will investigate the matter speedily and widely so that wherever this malaise is found it is nipped in the bud. This practice is capable of increasing the population of out of school children if their parents are unable to afford these illegal levies. Children of school going age must be encouraged in several ways to stay in school and not stay out of it and swell the population of out of school children. It is a pity that Success will not become a judge by the time the Delta State government decides to drag headmasters who charge illegal levies to court but she will read the story of their trial in the newspapers. She will have the pleasure of knowing that she played a prominent part in defrocking these fraudsters in the school system. Then her anger will melt.